I’ve found information on another interesting money laundering scandal and thought this is a good moment to compile money laundering stories in one thread. In 2017, an estimated $2.1 trillion was laundered by the banks (annually). Corrupt politicians, attorneys and judges never punish the top management of the banks and fine them only a small percentage of the laundered cash in the hope they can get a slice of the pie. The banks simply promise to do better (but why would they?). The money laundering in itself is simple. It’s just a matter of making some transactions over several countries using shell companies and the authorities and banks simply claim that they don’t know what’s going on. The big problem is to get the laundered money back without drawing suspicion from the media. One way is to pay excorbitant consultancy and speaking fees (see for example Clinton). Another way is to pay much more than the market price for real estate (see for example Trump). Money laundering schemes inflate prices, so basically laundering money even takes away the value of our hard earned savings. The money is used to rig elections. Last month, Thomas Borgen resigned as the CEO of Danske Bank (Denmark’s biggest bank), after it became known that from 2007 to 2015 its Estonian branch laundered more than 200 billion euros (some $230 billion). In 2013, the first whistleblower came forward to disclose that the Estonian branch was knowingly laundering funds from Russian President Vladimir Putin’s family and the Russian security service (FSB). Since then several whistleblower followed, including one that claimed that the Estonian branch “knowingly continued to deal with a company that had committed a crime”. Despite all of the suspect activity and these whistleblowers, Danske Bank did nothing and the money laundering continued into 2015. The Danish authorities cleared Borgen and the board of directors of any legal responsibility. 75 customers of Danske Bank are implicated, and Danske Bank’s Estonian branch handled the accounts of all 4 major companies involved in the Azerbaijani Laundromat. According to Danish authorities, the main perpetrators were the Russian and Azerbaijani “Laundromat” operations. During the period 2007-2013, 44% of all deposits at Danske Bank’s Estonian branch came from foreigners (approximately 10,000 of the branch’s customers). Between 2007 and 2015, these customers conducted 7.5 million transactions of about 200 billion euros. Legal action against Danske Bank is expected in Denmark, the UK, and the US (no doubt without consequences for the higher management or involved politicians). Madis Reimand, the head Estonia’s financial intelligence unit of Danske Bank, said his office had already found suspicious Azerbaijani cash flows in 2013. The Azerbaijani “Laundromat” used a series of shell companies to disguise the origin of $2.9 billion (£2.2 billion) that is suspected to come from Azerbaijani President Ilham Aliyev. Large sums came via the state-owned International Bank of Azerbaijan. The 4 firms at the centre of the Azerbaijani Laundromat were all limited partnerships registered in the UK: Metastar Invest; Hilux Services; Polux Management; and LCM Alliance. Their corporate “partners” are anonymous entities based in the British Virgin Islands, Seychelles and Belize tax havens. They used the Azerbaijani Laundromat to bribe prominent politicians, buy luxury goods, and launder money through a network of British shell companies. Luca Volontè received more than €2 million via his Italian-based Novae Terrae foundation. Volontè has been indicted in Milan for money laundering and corruption. In 2014, former CNN producer Eckart Sager (based in London), received nearly €2 million from the British companies. His PR company has promoted the Azerbaijani government and denied that Baku did anything wrong in the Volontè case. Eduard Lintner, German MP until 2010, founded the Society for the Promotion of German-Azerbaijani Relations, which received €819,500. A €61,000 payment was made 2 weeks after Lintner returned to Berlin from a trip to Azerbaijan where he “monitored” the country’s 2013 presidential election. Lintner said the election was up to “German standards” while official election observers found “significant problems”. Azerbaijani partners in crime of US president Donald Trump since 2012, in a project to build a Trump Tower in Baku, also appear in the Laundromat scheme. The $35 million project was controlled by Baku XXI Century of Elton and Anar Mammadov, the brother and son of the country's transport minister Ziya Mammadov. They hold seats in parliament and have ties to Azerbaijani President Aliyev. The Mammadovs’ Baghlan holding company is linked to Laundromat transactions. Ziya also has connections to Iran's Islamic Revolutionary Guard and with Iraq-Iran war veteran Keyumars Davishi, the chairman of a company which Mammadov awarded transportation contracts to in 2008. In February 2017, defense and intelligence officials warned the White House against designating Iran's Islamic Revolutionary Guard as a terrorist organisation. Anar founded The Azerbaijan American Alliance. Between 2011 and 2015, he spent almost $13 million for lobbying in the US. 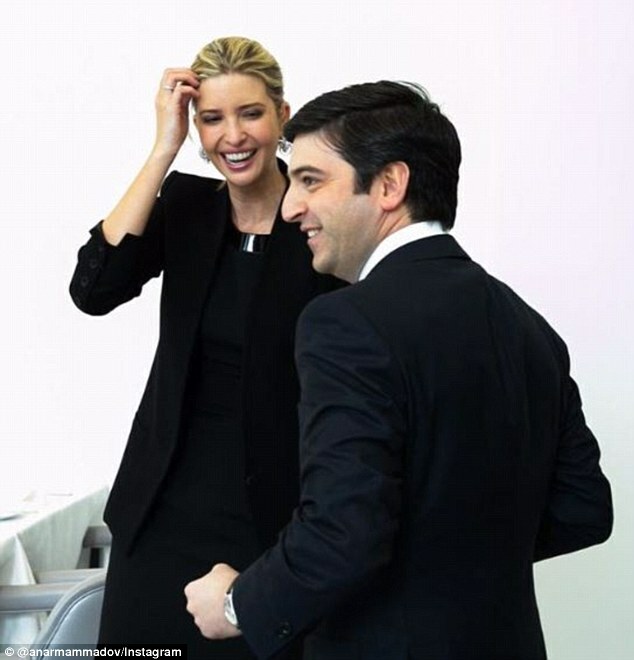 Anar Mammadov lives in London and considers Ivanka Trump a “dear friend” (see them together). In October 2014, Ivanka Trump toured Trump Tower Baku that was scheduled to open in 2015. Ivanka wrote that she had “overseen” the project. For some reason the hotel never opened despite being almost completed. The Wachovia Bank was accused of laundering $380 billion in Mexican drug money. Wachovia was acquired by Wells Fargo in late 2008. Wells Fargo settled the case for $160 million and promised to never do it again. 3.5 million unauthorised bank accounts were created for this scam. Five people were convicted as scapegoats, for money laundering of a little more than $1 million. The funds were laundered using newly created bogus bank accounts, into which proceeds were deposited. The cashier’s checks and wire transfers were made out to gold dealers. UK banking giant HSBC (HQ London) is in a league of its own. At least $20 billion (possibly $80 billion) was moved out of Russia between 2010 and 2014 in the money-laundering operation dubbed “The Global Laundromat”. HSBC processed $545.3 million in Laundromat cash, mostly routed through its Hong Kong branch. Several of China’s state-controlled banks have processed hundreds of millions of US dollars from this money-laundering operation run by Russian “criminals” with links to the Russian government and spy agency FSB. The 5 largest Chinese banks processed more than $1 billion. Bank of China processed $716 million of the Laundromat cash, making it the fourth most active bank in the plot. Laundromat also included the Chinese banks: China Construction Bank Corporation, Industrial and Commercial Bank of China (ICBC), Bank of Communication and Agriculture Bank of China. Hong Kong’s Hang Seng Bank is also implicated. Credit Suisse, Citibank and Falcon Private Bank have also processed dirty money through their Chinese branches. Other UK banks involved in the “The Global Laundromat” are: the Royal Bank of Scotland, Barclays and Coutts. More banks involved in the Laundromat: Bank of America, JP Morgan, Deutsche Bank, Standard Chartered, Lloyds, UBS and ING (from the Netherlands). According to OCCRP, the scheme allowed tens of billions of dollars to be moved out of Russia, involving roughly 70,000 transactions from 2011 to 2014. According to prosecutors in Moldova, at least $22 billion was laundered as part of the scheme. They are investigating 16 judges, 4 employees of Moldova’s central bank and 9 commercial bank employees over involvement in the money laundering operation. 500 people are suspected of being involved, including many wealthy and influential Russians. Here’s a short explanation of this scam. Two front companies are set-up in the UK, which allow the owners behind them to remain secret. Company 1 makes a huge loan to company 2, a Russian company guarantees the loan, and a Moldavian straw man is included as co-guarantor for the loan. UK-company 2 refuses to pay the loan back to company 1. UK-company 1 sues in a Moldavian court to get back the loan. The judge orders the Russian guarantors to pay the sum, typically in the range of $100-800 million. HSBC Holdings Plc’s agreed on a $1.9 billion settlement with the US to resolve charges it failed to monitor more than $670 billion in wire transfers and more than $9.4 billion in purchases of US currency from HSBC Mexico, allowing for money laundering. HSBC also violated US economic sanctions against Iran, Libya, Sudan, Burma and Cuba. HSBC paid a $1.256 billion forfeiture and $665 million in civil penalties. A report by the US House financial services committee dated 11 July 2016 shows that UK Chancellor of the Exchequer George Osborne, warned the US against prosecuting HSBC, because it could lead to a “global financial disaster”. According to the committee the UK interventions “played a significant role in ultimately persuading the DoJ not to prosecute HSBC”. 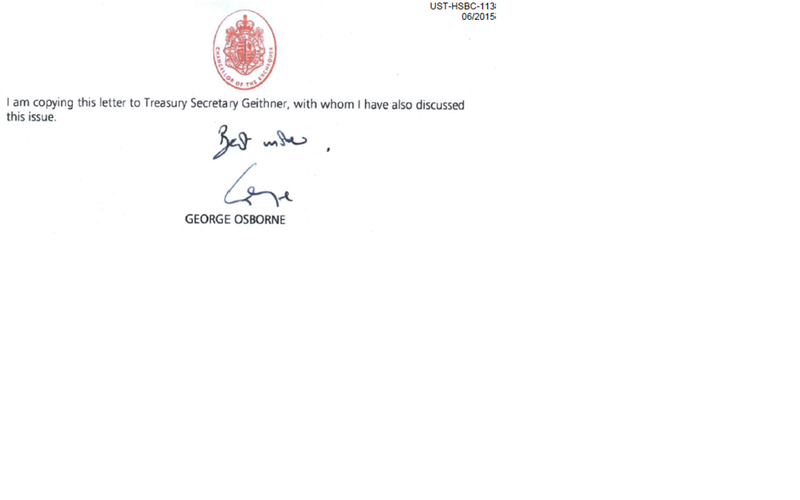 The most interesting from this report is the letter by UK Chancellor of the Exchequer George Osborne to US Fed chairman Ben Bernanke dated 10 September 2012 (pages 42-45), see the picture. d. Failure to provide adequate staffing and other resources to maintain an effective AML program. 16. From 2006 to 2009, HSBC Bank USA knowingly set the thresholds in CAMP so that wire transfers by customers, including foreign financial institutions with correspondent accounts, located in countries categorized as standard or medium risk would not be reviewed. Only transactions that involved customers in countries rated as cautionary or high risk were reviewed by CAMP. During this period, HSBC Bank USA processed over 100 million wire transfers totaling over $300 trillion. Over two-thirds of these transactions involved customers in standard or medium risk countries. Therefore, in this four-year period alone, over $200 trillion in wire transfers were not reviewed in CAMP. 18. Despite this evidence of the serious money laundering risks associated with doing business in Mexico, from at least 2006 to 2009, HSBC Bank USA rated Mexico as standard risk, its lowest AML risk category. As a result, wire transfers originating from Mexico were generally not reviewed in the CAMP system, including transactions from HSBC Mexico. From 2006 until April 2009, when HSBC Bank USA raised Mexico's risk rating to high, over 316,000 transactions worth over $670 billion from HSBC Mexico alone were excluded from monitoring in the CAMP system. 63. From at least 2000 through 2006, HSBC Group knowingly and willfully engaged in conduct and practices outside the United States that caused HSBC Bank USA and other Financial institutions located in the United States to process payments in violation of U.S. sanctions. To hide these illegal transactions, HSBC Group altered and routed payment messages to ensure that payments violating IEEPA, TWEA, and OFAC regulations cleared without difficulty through HSBC Bank USA and other U.S. financial institutions in New York County and elsewhere. The total value of OFAC-prohibited transactions for the period of HSBC Group's review, from 2000 through 2006, was approximately $660 million. This includes approximately $250 million on behalf of Sanctioned Entities in Burma; $183 million on behalf of Sanctioned Entities in Iran; $169 million on behalf of Sanctioned Entities in Sudan; $30 million on behalf of Sanctioned Entities in Cuba; and $28 million on behalf of Sanctioned Entities in Libya. 7. As a result of the Bank's conduct, including the conduct set forth in the Statement of Facts, the parties agree the Department could institute a civil and/or criminal forfeiture action against certain funds held by the Bank and that such funds would be forfeitable pursuant to Title 18, United States Code, Sections 981 and 982. The Bank hereby acknowledges that at least $881,000,000 was involved in transactions, in violation of Title 18, United States Code, Sections 1956 and 1957; and that at least $375,000,000 was involved in transactions in violation of Title 50, United States Code, Appendix, Sections 3, 5 and 16 and the regulations issued thereunder, or Title 50, United States Code, Section 1705 and the regulations issued thereunder. In lieu of a criminal prosecution and related forfeiture, the Bank hereby agrees to pay to the United States the sum of $1,256,000,000 (the "Forfeiture Amount"). The Bank hereby agrees the funds paid by the Bank pursuant to this Agreement shall be considered substitute res for the purpose of forfeiture to the United States pursuant to Title 18, United States Code, Sections 981 and 982, and the Bank releases any and all claims it may have to such funds. In the first of a series of purchases of US regional banks, the Dutch Rabobank (that was involved in a plot to murder me by simply blocking my bank accounts) acquired Valley Independent Bank in 2002 and its two dozen branches. This included one in Calexico - located on a major border crossing with Mexico. The deposits of the Calexico office from 2008 to 2013 rose 39% to $153 million. So many US dollars were deposited that they needed weekly armoured truck (sometimes more) to transport all the cash. Rabobank recruited Laura Akahoshi, a 10-year veteran of the Comptroller’s office responsible for watching the banks, for compliance officer to solve problems with the authorities. Rabobank in California got rid of 3 of the 9 people monitoring money laundering. Each remaining worker went from checking about 25 transactions a day to more than 75 (about 6 minutes per transaction). After the “dirty” money has been washed clean, the money has to be funnelled back to the drug trafficking elite. This can be done by paying ridiculous wages, like half a million for a part-time job like corporate director, or bizarre amounts in consultancy fees, and best of all, hundreds of thousands of dollars for speeches. Former President Bill Clinton earned more than $16.3 million for 72 speeches in 2012 alone, and combined with Hilary Clinton - the couple have made $25 million since the beginning of 2014 and $130 million since Bill left the White House (not even counting Chelsea). On average they earn around $200,000 per appearance. Bill Clinton made $750,000 for one speech in Hong Kong to Swedish telecom giant Ericsson. Another former President, George W. Bush, gets up to $175,000 per speech, and George Jr. even collected $100,000 to speak at a charity fundraiser for wounded US military veterans (so the “charity” was really the poor Bush family). Former British Prime Minister Tony Blair got an estimated £2 million salary at JP Morgan for consultancy. Blair got as much as $300,000 per speech. In two half hour speeches in the Philippines in 2012, Blair was paid close to £400,000 (or over £6,000 a minute). Former French President, Nicolas Sarkozy got €250,000 to speak at a conference by Morgan Stanley. Former Fed chairman, Alan Greenspan reportedly received $250,000 for a speech in 2004. Donald Trump was caught in one of his (many) blatant lies, when he claimed that he was paid $1.5 million per speech by the Learning Annex in 2006, 2007. In reality Donald wasn’t paid only for his speeches, but also for taking part in the advertising campaign. I can’t even believe that they paid Trump $400,000 for every speech though. The most attention is given to the French-Italian Hervé Falciani, who supposedly copied confidential information on 300,000 secret Swiss bank accounts without it being noticed. Falciani was sentenced to 5 years in jail in Switzerland for violating the Swiss bank secrecy. While he boasts being arrested in France and Spain, he’s supposedly out of reach of the Swiss authorities by staying in France. Falciani said that being locked up for five and a half months in Spanish jail was part of his grand design in which he was helped by “the Network”. Another “whistleblower” is Sue Shelley, who until 2013 was an HSBC executive vice-president in charge of compliance in Luxembourg. I think I’ve found a “real” whistleblower in the American Bradley Birkenfeld, who blew the whistle on the Swiss banking giant UBS. He made 30 names of the rich clients with secret Swiss bank accounts known to the US government, only one of these has been charged and publicly named. Whistleblowers are really dangerous, so Birkenfeld was jailed for two and a half years for helping his clients “evade taxes”. After being released in August 2012, he had to remain in the USA wearing an electronic ankle-tag until November 2015, before he moved to Malta. His information is hampered, because he is convinced that it’s all about tax evasion, instead of money laundering. Most (if not all) of his clients and superiors at UBS got off without prison time. Birkenfeld got a nice pay check for helping the US government get hundreds of millions in back taxes. According to some whistleblower policy he was entitled to 30% of the profits, which amounted to $104 million minus taxes leaving him with a pay check of $75 million net (he claims that he’s entitled to much more). Bradley Birkenfeld, worked as Head of Business Development for North America out of Geneva, Switzerland for UBS from 2001 to 2006. In 2007, Birkenfeld offered to help US authorities with information about how the UBS had helped thousands of Americans evade taxes. Maybe the most interesting is how he helped the Russian immigrant, Californian real-estate billionaire Igor Olenicoff, with connections to former Russian President Boris Yeltsin. Birkenfeld detailed how he bought and smuggled diamonds to the USA for Olenicoff in a toothpaste tube. He deliberately destroyed offshore bank records on behalf of clients and helped Olenicoff with offshore assets worth $7.26 billion. Olenicoff was looking at serious time in jail, but pled guilty to one count of filing a false tax return. This deal kept him out of prison and he only got 2 years of probation, and had to pay $52 million in back taxes. UBS bankers assisted wealthy Americans to conceal ownership of their assets by creating “sham” offshore trusts. Misleading and false documentation was routinely prepared to facilitate this. It is a system that connects Wall Street and the City of London to Liechtenstein, Panama and the British Virgin Islands - all places where Birkenfeld parked cash for his clients. Birkenfeld bought and smuggled diamonds for Olenicoff. I suspect that these were paid for with dirty money. Birkenfeld says he's looking for revenge, because he was locked up for so long, where nearly everyone else involved got off with light penalties or none at all. Of the tens of thousands of Americans who hid money overseas, only a handful were indicted or charged. Fewer than 50 American clients of offshore banks have been sentenced in the USA since the Birkenfeld revelations. One received a 19-month sentence, only a few have gone to jail, and nearly 30 were given no jail time at all. All of his bosses made secret non-prosecution agreements. When the head of the private bank, Raoul Weil, was indicted, he escaped and was arrested in Italy on an Interpol arrest warrant. Weil was acquitted in about 30 minutes because Birkenfeld wasn’t allowed to testify in his court case. Billionaire Ty Warner — one of the few Swiss bank clients whose name has been made public —was sentenced to probation without jail time. Birkenfeld saw clients coming into the bank with a million dollars in a suitcase. Specialised couriers brought cash into Switzerland and deposited it in the clients´ bank account. Many clients tore up receipts of a deposit on the spot. The best banknote for cash transactions is the 1000 Swiss franc bill - "The largest note in the world, I mean, you could put a half a million dollars in your pocket, no problem”. UBS was making $200 million for 8 years, that´s a total of $1.6 billion; and only got fined $780 million. Birkenfeld offered the DoJ to wear a wire to record conversations with bankers and clients. He said he turned over the names, cell phone numbers and preferred US hotels of UBS banksters. He offered to help the DoJ with the investigation. But the Department of Justice (DoJ) covered up this case. The Swiss government and UBS are really one organisation. The bank was protected but the clients, colleagues and shareholders were not. Back in 2004, UBS was sending illegal wire transfers of millions of dollars to Cuba, Libya, and Iran. The US government fines them $100 million and no one goes to jail. UBS promised to do better. In 2012, UBS is fined $1.5 billion for the Libor scandal. In 2015, UBS was fined $545 million for foreign exchange manipulation. 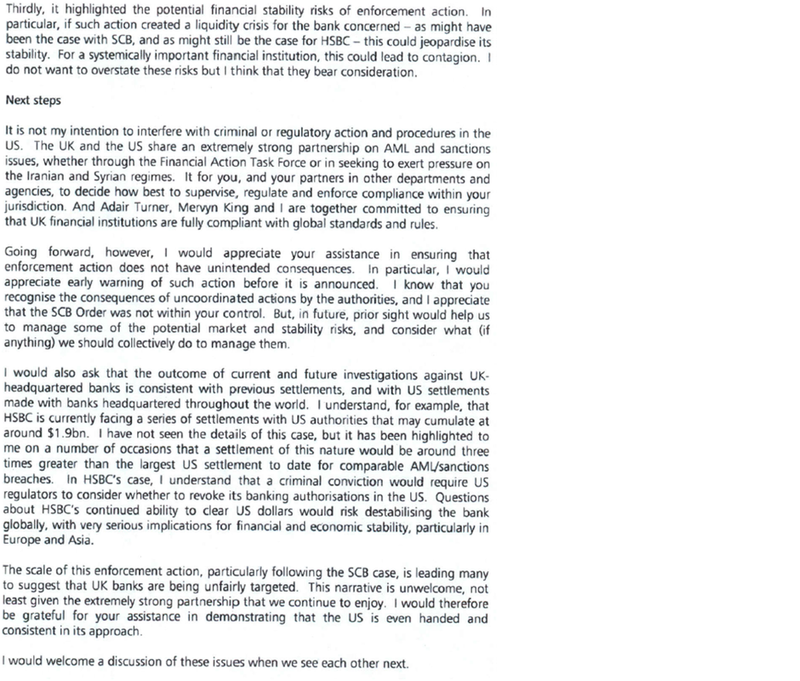 Birkenfeld has not publicly named most of his clients at UBS, although he provided that information to the government. Birkenfeld did expose Abdul Aziz Abas, who had $420 million in six numbered accounts and lived in a $50 million condo in New York City. Abas was doing illegal oil sales with Saddam Hussein. The DoJ did nothing about Abas, because he was best friends with Rudy Giuliani and Raymond Kelly (Commissioner of NYPD). The most secret category of American client is the Politically Exposed Person (PEP). Birkenfeld does not know any names of American political figures who had secret accounts in Switzerland, or how many there were. Barack Obama, back in the days he was Senator Obama, was on the Senate committee investigating UBS. At the time they were investigating UBS, he accepted millions of dollars from UBS for his Presidential campaign. In August 2009, on the first Sunday after Birkenfeld was sentenced to prison, Obama’s golfing partner was Robert Wolf, Chairman of UBS Americas. When Obama paid $1.4 billion in cash to the State of Iran, the money was sent in cash on a private jet from Geneva, Switzerland. So obviously President Obama had access to Geneva bank accounts. Eric Himpton Holder Jr. served as the 82nd Attorney General under President Obama from 2009 to 2015. In 2001, after having served as deputy Attorney General under Janet Reno, Holder started his private law practice, in which he represented UBS. Secretary of State Hillary Clinton was also involved in covering up this affair. Until 2008, UBS donated less than $60,000 to the Clinton Foundation. After Hillary intervened to help UBS out with the IRS and announced the legal settlement, Bill Clinton was paid a whopping $1.5 million for speaking engagements, while the donations to the Clinton Foundation grew to about $600,000 by the end of 2014. UBS also helped the Clinton Foundation launch some inner-city development programs, by lending $32 million at very reasonable rates. Because Birkenfeld was not happy with his job, he began to copy and hide internal UBS documents in Switzerland, France and the United States. Martin Liechti, the former head of UBS wealth management for the US and the Western Hemisphere, received a non-prosecution agreement. As a result, Liechti never spent a day in prison, probation or supervised release. Firestarter wrote: Acosta also oversaw the settlement with UBS, a bank from Switzerland which helped 20,000 Americans with assets of about $20 billion evade taxes. In 2007, the Dutch ABN AMRO Bank was bought by a trio of banks, Royal Bank of Scotland (RBS), Fortis and Banco Santander. RBS was fined in 2010 for the past activities of ABN AMRO’s New York branch. RBS agreed to forfeit $500 million in connection with a conspiracy to defraud the USA, violate the International Emergency Economic Powers Act (IEEPA) and the Trading with the Enemy Act (TWEA), as well as a violation of the Bank Secrecy Act (BSA). ABN AMRO implemented procedures to flag payments involving sanctioned countries so that ABN AMRO could delete problematic text to process transactions with countries in violation with the laws of the USA. From approximately 1995 to December 2005, offices and affiliates of ABN AMRO removed or altered names and references to sanctioned countries from payment messages. ABN AMRO’s New York branch office intentionally failed to establish an adequate Anti Money Laundering (AML) program. ABN AMRO facilitated the movement of illegal money through the U.S. financial system by stripping information from transactions and turning a blind eye to its compliance obligations. It is essential that financial institutions both large and small properly monitor the origins of funds flowing into our financial system. When financial institutions fail to do so, and, even worse, manipulate information in order to profit from prohibited transactions, they will be held accountable. Multiple high-risk shell companies and foreign financial institutions were used to launder money through the USA. More than $3.2 billion dollars involved shell companies and high risk transactions with foreign financial institutions through ABN AMRO NY. Correspondent accounts allow foreign banks to move funds into the US without a US branch, by paying fees to a host bank that has a US banking license. The Justice Department investigated $885,000 in transfers from Latvia through ABN AMRO in NY that were part of evading Russian taxes. That and similar transactions are part of a broader pattern of fraud, tax and money laundering involving millions of dollars, passed through ABN AMRO NY and banks in Russia and Eastern Europe. ABN AMRO had to cut off its correspondent banks in Cyprus, an offshore banking centre that caters to the Russian market. In 2005, International Strategies Group (ISG) from Hong-Kong-based accused ABN AMRO of helping First Merchant Bank from the Turkish part of Cyprus to swindle it out of $16.7 million. ABN AMRO NY was a “turn-key” operation for international money launderers. ABN AMRO’s New York office handled First Merchant’s business despite a warning from the Central Bank of Cyprus against First Merchant’s chairman, Hakki Yaman Namli. Namli was wanted by Italian police for laundering $50 million. It sort of went like this: 1) Money comes from New York; 2) is sent to First Merchant Bank in Cyprus; 3) Money is sent across the globe. In 2015, federal prosecutors fined ABN AMRO $80 million for money-laundering and violating federal restrictions on deals with Iran and Libya; $40 million to the Federal Reserve, $20 million to New York’s bank regulator, $15 million to Illinois’ bank regulator, and $5 million to Illinois bank examiners’ education fund. ABN AMRO falsified payments recorded at its US branches to camouflage transactions with Bank Melli Iran and the Arab Bank for Investment and Foreign Trade (owned in part by the Libyan government). ABN AMRO modified wire transfers and letters of credit in order to obscure any references to the Iran and Arab banks. This involved suspect Russian and US bank accounts. In 2015, ABN AMRO was also fined €625,000 ($682,000) by the De Nederlandsche Bank (DNB, the Dutch central bank) and a further $640,000 (€586,000) by the Dubai Financial Services Authority. The Dubai branch of ABN AMRO took part in high risk transactions that could facilitate money laundering. In December 2008 ABN AMRO was taken over by the Dutch State. Since the end of 2015, the State has been selling shares ABN AMRO mostly to institutional parties below the market price. To protect ABN AMRO from a hostile takeover, technically speaking the shares aren’t even sold. In the “Global Laundromat”, between 2010 and 2014, at least $20 billion of Russian money was laundered; Deutsche Bank again played an important role. In this scheme the Latvian bank Trasta Komercbanka was used as a last point before the money was transferred across the globe. Trasta needed a corresponding Western financial institute to process its dollar-denominated transactions. Two German banks became corresponding banks for Trasta: Deutsche and Commerzbank. There are of course connections from the Global Laundromat to Vladimir Putin. The Russian RZB bank was a major player in this multibillion rouble fraud. This Moscow bank wired 152.5 billion roubles (about $5 billion) to the Moldovan Moldinconbank from 2012 to 2014. Moldinconbank received most of the wires from Russian banks and then routed the money through the Latvian Trasta Komercbanka, which transferred it to Europe. Until 2011, RZB belonged to Elena Baturina, wife of the former mayor of Moscow, Yury Luzhkov. In 2010, Luzhkov was ousted by President Putin, and the next year Baturina also lost RZB. In 2011, 6 Cyprus companies became the owners of RZB. One of them – Boaden Ltd, which controlled 16.35% of RZB – was owned by St. Petersburg businessman Alexander Grigoriev, who became the corporate director of RZB. Grigoriev brought a new management team to RZB, which included Igor Putin, Vladimir Putin’s cousin, who served on RZB’s board until 2014. Grigoriev and Igor Putin share several connections. Igor Putin also was a board member of construction company SU-888, where Grigoriev is a majority shareholder. Igor Putin was also a board member of Promsberbank, in which Grigoriev owned a share. In 2013, Grigoriev acquired another Moldovan bank, Zapadniy. Zapadniy opened correspondent accounts in Moldindconbank and also became involved in transferring money from Russia to Moldova. Ilya Lomakin-Rumyantsev, who became CEO of Zapadniy had been head of Putin’s Presidential Expert Department in 2009-2011. It’s hypocritical to blame the whole Laundromat on Russian and German banks, going as far as labelling it the “Russian Laundromat” when British banks were arguably taking most of the action, with HSBC bank as THE major player. Other banks involved in the Laundromat: HSBC, Bank of America, JP Morgan, Standard Chartered, Lloyds, UBS and ING. Last month, the biggest financial institution of the Netherlands, the ING Groep with more than 52,000 employees in over 40 countries, has admitted that between 2010 and 2016 it helped “criminals” in laundering millions of Euros of dirty money. ING boasted €4.9 billion in profits in 2017. Coincidentally ING Bank handles the bank accounts for the Dutch government. The ING Groep settled the case for a fine of 675 million Euros and 100 million as a reimbursement for the gains, totalling 775 million Euros ($900 million). CEO Ralph Hamers said the bank "takes full responsibility" for not preventing money laundering by “criminals”. Two years ago, financial investigators started their investigation after they noticed that many “white-collar” criminals held bank accounts at the ING Bank. The Dutch prosecutor concluded that clients could use accounts for criminal activities “virtually undisturbed”. ING NL didn’t monitor suspicious transactions. In one case a women's underwear seller in Curacao laundered €150 million through a bank account at ING: "It should have been clear to the bank that the monetary flows had little to do with the lingerie trade”. We had various ongoing criminal investigations and ING bank accounts cropped up repeatedly. Since 2008, ING was repeatedly warned, but it failed to take sufficient measures to stop the practice. ING Bank was involved in money laundering for international telecommunications VEON, formerly VimpelCom (using an account of its subsidiary Watertrail), that "transferred bribes worth millions of dollars via its bank accounts with ING to a company owned by the daughter of a former Uzbek president". In 2016, VEON settled US charges for $795 million after it paid $114 million in bribes to a government official in Uzbekistan. According to ING’s CEO Ralph Hamers no individual at the bank is responsible for the failures, or has personally benefited, but it had taken measures against around 10 employees anyway. ING’s chief financial officer Koos Timmermans had to resign in the wake of the scandal. Prosecutors detailed several examples of misused accounts. In one case a one-man-company in building materials without address in the Netherlands had a business account at ING NL with 15 ATMs linked to it in Surinam. A total of 9,000,000 Euros of criminal money ran through bank accounts at ING NL, but not to pay for any building materials. In reality the terminals in Suriname were used to withdraw cash money. ING NL did little to investigate the client and the transactions weren’t properly monitored. In another case, in a little more than a year, 500,000 Euros in cash was deposited in ING bank accounts of 2 connected companies. These were supposedly importing fruit and vegetables from South America as their cover for money laundering. Another interesting company is EY that was the accountant for both Vimpelcom and ING when the money laundering was happening. At that time I searched in vain for a good motive for why the Order of the Garter wanted Britain out of the European Union. Recently I stumbled per chance on a story that shows that Brexiteers are really “fighting” for the right of the elite to evade taxes and launder money. Leaving the EU, withdraws Britain from “new” tax avoidance laws that would make the semi-legal offshore bank accounts of people like Jacob Rees-Mogg, David Cameron, Boris Johnson and… Queen Elizabeth problematic. The following recent Daily Mail piece actually warns that the EU wants to shackle Great Britain to EU tax policies after Brexit. Couldn’t they be more blatant? The intention is that they commit to continue to alignment with EU standards, including for their overseas countries and territories. So the EU wants to stop tax evasion and money laundering through offshore “overseas” bank accounts? I really don’t believe they are! Spineless May will inevitably cave in & sell us down the river again. Sack her and get someone who will say NO! In 2015, Britain rejected plans announced from Brussels to combat “industrial-scale tax avoidance by the world’s biggest multinationals”. The new EU tax regulations would have clamped down on offshore accounts and removed many of Britain’s competitive tax, money laundering advantages over other EU Member States. Some of the loudest Brexit supporters have offshore interests. Lord George Magan was awarded a life peerage in 2011 by Queen Elizabeth. Magan is the settler of 2 Jersey-based trusts that hold properties and fine art. As a director of the yacht firm Edmiston he is also involved in a Jersey company, which was set up to help clients who want to employ staff through an offshore firm. Sir David and Sir Frederick Barclay live on Brecqhou in the Channel Islands, and Monaco. In 2004, a structure was set up through the Bermuda-based Reid Finance Ltd, to keep their ownership, including of the Daily Telegraph, hidden. Edmiston owns 2 Malta-based aviation companies. MP Jacob Rees-Mogg received $680,000 through an investment firm based in the British Virgin Islands. James Pockney has worked for Rees-Mogg as a director of Saliston for 22 years. He approached Appleby regarding an Isle of Man company called General & Oriental Investments in 2008. Some of Andrea Leadsom’s family income comes from offshore interests. Her husband, Benjamin Leadsom, has worked as a director for many years for Peter de Putron, who is married to her sister, Hayley. De Putron runs a multibillion-dollar hedge fund from Guernsey. In 2000, he also with his wife owned Tyrolese (Malta) Ltd. Incorporated that was the majority shareholder in the UK-registered Tyrolese Ltd.
Brexiteer James Mellon is a proprietor of a “hip” cocktail bar in London. Mellon and Dattels invested £500,000 each for 25% via the Isle of Man. It was the Manx vehicle that paid out the dividends. If the bar is ever sold by its Manx parent, there would be no corporation tax to pay, because the Isle of Man does not tax company profits. Arron Banks donated £8.5 million to Nigel Farage and his campaign to leave Europe and continues to argue for a hard Brexit. He co-owns the Isle of Man-based Conister Bank with his friend and fellow Brexiteer, the Isle of Man resident Jim Mellon. In 2012, Conister opened accounts for a businessman whose gambling firm, Pokerstars, and business partner, Mark Scheinberg, were accused by the US Department of Justice for laundering billions in illegal proceeds. After the US outlawed internet gambling in 2006, individuals associated with Pokerstars, including Mark’s father, founder of Pokerstars Isai Scheinberg, had taken money from American citizens via fake websites claiming to sell jewellery or golf balls. In 2011, the FBI filed charges against Mark and Isai Scheinberg. They were living in the Isle of Man and did not return to the US to evade the charges and arrest. In July 2012, Pokerstars announced it had settled the case with the DoJ for $547 million. In 2014, Pokerstars was sold to a Canadian group for $4.9 billion. In 2015, Arron Banks’ insurance business Southern Rock was bailed out, just months before Banks began bankrolling the Leave.EU referendum campaign to which he donated £8.4 million. One of the 2 campaign vehicles that received Banks’ £8.4 millions, Better for the Country Ltd, was set up by STM. If Southern Rock Insurance had gone bankrupt this could have made Banks’ UK insurance broker Eldon collapse. Regulators made Southern Rock promise not to make any payments to Banks without their prior written consent. After in 2014 PwC concluded that Southern Rock wasn’t a healthy company, Banks had to resign as CEO, with his longstanding associate Alan Kentish (another Southern Rock director). Banks’ ties to Kentish and STM go back to at least 2004, when Kentish became a founding director of Southern Rock. Banks invested in STM and became its largest shareholder before selling his stake in early 2015. More recently, Kentish, Banks and another STM founder invested in Legal Protection Group, a broker of insurance for lawyers and doctors. ICS Risk Solutions, a holding company on the Isle of Man, pumped £77.7 million into Southern Rock to save it from collapse. Banks owned both ICS and Southern Rock; it is not clear where the money came from. When the money came, the management of ICS was changed. In April 2015, the day before the initial rescue deal, wife of STM’s boss, Louise Kentish, joined the ICS board. On 24 June 2016, the day after the referendum, Alan Kentish joined her with 2 other new directors (the former and current chairmen of STM). Banks has said he owns 90% of ICS, with management and staff holding the rest. But the filings showed he owns less than 75% — with no information on the remainder. A core business for STM is setting up offshore trusts, to make it difficult to trace who ultimately owns the assets. STM services helped to invest pension savings in the Trafalgar Multi Asset Fund, which collapsed in 2016 and is under investigation of the UK’s Serious Fraud Office. STM should have seen red flags before the pension debacle. In 2015, STM was prosecuted in Jersey for money-laundering compliance failures. STM was eventually acquitted, but it received an official order to clean up its behaviour. On 19 October 2017, Alan Kentish was arrested in Gibraltar for failing to notify the authorities on money-laundering by one of STM’s clients. Following his arrest, Kentish resigned his directorships of 2 companies linked to Arron Banks. STM was managing operations for Henley & Partners, whose business includes helping rich foreign nationals acquire citizenship of tax havens; and whose chairman reportedly has ties to Cambridge Analytica. The Paradise and Panama Papers look like limited hangout operations to make the EU introduce “stricter” laws on money laundering and tax evasion, so that the (Brexiting) British money launderers have the competitive edge! Arron Banks owns a stake in a South African diamond mine, and donated millions to the Leave.EU Brexit campaign of Nigel Farage. Russian ambassador to the UK, Alexander Yakovenko, met Banks 4 times in about 12 months, in which they discussed Trump’s US presidential campaign. Banks and Yakovenko also frequently sent each other text messages. At least 2 of the meetings between Banks met Yakovenko were shortly before or after meetings between Trump’s team and Banks and Farage. They met for example on 19 August 2016; and less than a week later, Banks and Farage were talking privately with Donald Trump in Jackson, Mississippi, where Farage also addressed the cheering crowd. Banks said he and Farage each met once with US embassy officials to describe their contacts. Banks replied that “not one shred of evidence has been produced” that he was working for Russia. There seems to be a culture of throwing hysterical accusations around without any evidence whatsoever. While everyday working people have no choice but to pay taxes in their own country, the global elite avoid paying their share by setting up shell companies in exotic tax havens. Individuals from 200 countries used more than 214,000 offshore entities to help them launder money and evade taxes worth billions in tax. Those implicated included 140 politicians and officials; including the president of Ukraine, the prime ministers of Iceland and Pakistan, and the King of Saudi Arabia. In October 2017, in the wake of the Panama Papers, the European Parliament’s Committee of Inquiry into Tax Avoidance and Tax Evasion was set up, which recommended for stricter sanctions against banks and intermediaries involved in illegal tax or money laundering schemes. By leaving the EU, Britain won’t have to face the new EU rules. This is very relevant, as the UK already had the largest number of offshore entities of any EU nation in the Panama Papers, with 17,973. Only Luxembourg came close with 10,877. I found the following 2013 Offshore Tactics Workshop by SovereignMan.com in Chile, bizarre mainly because it was attended by Nigel Farage, Ron Paul, Jim Rickards, and Jim Rogers, who predict economic chaos, end of the dollar as reserve currency, the imminent fall of Slovenia and end of the Euro. Former Congressman Ron Paul exclaimed during his opening remarks “The revolution is international” (I don’t see any revolution...). 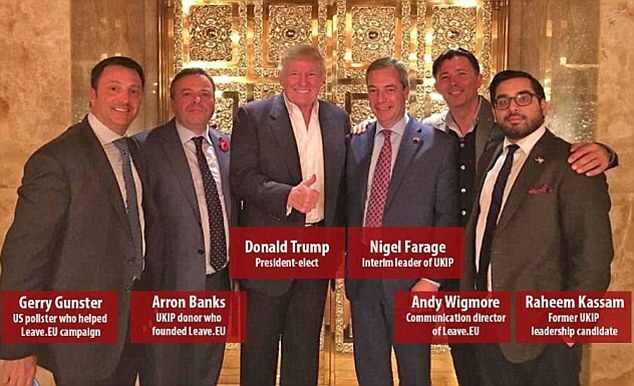 See this group of money laundering experts, who know that they will be busted if they don’t support their British masters, with Arron Banks, Donald Trump and Nigel Farage in New York, November 2016. According to our wonderful media we have to believe that there are legitimate reasons for the elite to hide their wealth through offshore funds. Queen Elizabeth by law is exempt from taxes. According to our dumb, deaf and blind media we have to believe that Elizabeth voluntarily pays taxes. If that is the case than why doesn’t Elizabeth have the law changed, so that she is obligated to pay taxes (as this wouldn’t really make a difference)? The Duchy of Lancaster is a private estate that was set up in 1399 to manage land and investments for the reigning monarch. In March 2017, the Duchy was worth £519 million. 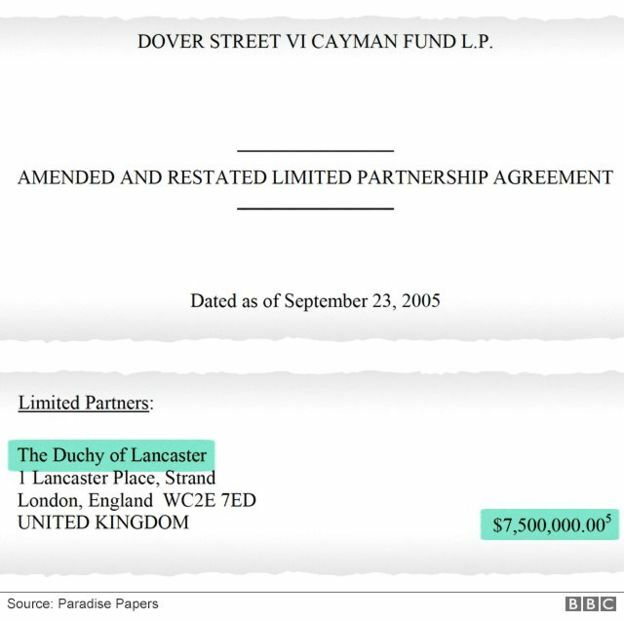 The Duchy of Lancaster has invested £10 million ($13.1 million) from Elizabeth’s private estate into offshore funds in the Cayman Islands and Bermuda. This had never before been disclosed. If Elizabeth pays taxes, like she claims, I would like to see evidence that she paid taxes over the income generated from her investments through this Cayman Islands fund. 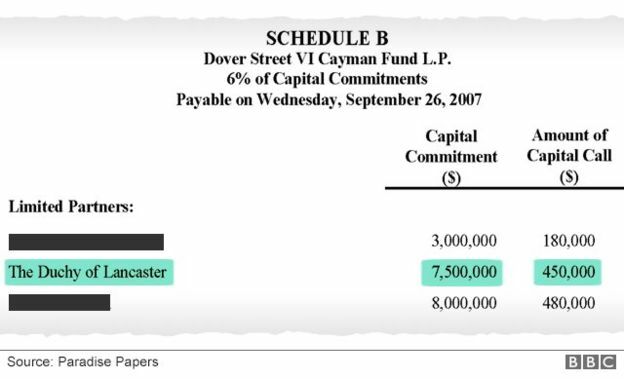 In September 2005, the Duchy of Lancaster invested $7.5 million (£5.7 million) in Dover Street VI Cayman Fund LP. The US company running the fund later asked the duchy to contribute $450,000 (£344,000) – 6% of its commitment - into UK retailer BrightHouse and Threshers. The Duchy of Lancaster refused to disclose the size of its original 2007 investment in BrightHouse, which coincided with a boom in its value. The Duchy claims the BrightHouse holding now equates to £3,208. In September 2007, when BrightHouse began the Duchy contributed $450,000 to five investments (including "Project Bertie"). This included an interest in London-based private equity firm Vision Capital that acquired 100% of BrightHouse and 75% of the Threshers off licence chain. BrightHouse has since been accused of overcharging customers, and using hard sell tactics on people with mental health problems and learning disabilities. In 2015, a UK parliamentary report concluded that BrightHouse was charging interest rates of up to 94%. One in 5 customers was in arrears and one in 10 purchases ended in repossession. In one case, a Samsung freezer cost £644 to buy but £1,716 under a five-year plan from the chain. In October 2017, BrightHouse was ordered to pay £14.8 million in compensation to 249,000 customers for not handling in their best interest. BrightHouse has limited its tax bill through a large loan to a Luxembourg holding company. Between 2007 and 2014, it reported £1.6 billion in revenue and made an operating profit of £191 million, but paid less than £6 million in taxes. The Paradise Papers show only one payout from the fund to the Duchy of Lancaster in June 2008 of $361,367 over which it paid only $1,505 (0.4%) in tax. Threshers' balance sheet was loaded with debt and it paid no corporation tax for 2 years. When the drinks retailed went bust in October 2009, almost 6,000 people lost their jobs and it owed £17.5 million in UK tax (how much did Queen Liz take?). The Duchy of Lancaster also invested £5 million in the Jubilee Absolute Return Fund, which invests in hedge funds. At the time of the investment in June 2004, the fund was based in Bermuda. In 2006, it moved to Guernsey. This investment ended in 2010.